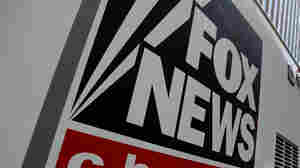 August 27, 2018  Fox News has repeatedly gone to former Justice Department official Robert Driscoll to comment on the Russia investigations, but what viewers don't hear is that he's also the attorney for Maria Butina, the suspected Russian spy charged with criminal counts. August 20, 2018  President Trump's lawyer created waves on Meet The Press Sunday by insisting there are situations where there is no such thing as "the truth." August 16, 2018  More than 300 papers have heeded the call of The Boston Globe to run editorials on Thursday standing up for the press in the face of President Trump's ongoing anti-media rhetoric. August 16, 2018  Hundreds of papers joined with the Boston Globe today in publishing editorials that express concern with President Trump's approach to the press. August 13, 2018  Friday's interview with the organizer of last year's deadly white nationalist rally in Charlottesville, Va., stirred controversy. Critics argue NPR erred by giving Kessler a platform for his views. August 9, 2018  Tribune Media says it's pulling out of a proposed merger with Sinclair Broadcast Group while also announcing a $1 billion lawsuit against the conservative television company saying its "misconduct" torpedoed the deal. August 7, 2018  Social media sites have removed main outlets for conspiracy theorist Alex Jones and his Infowars website, citing repeated violations of policies against hate speech and glorifying violence. August 2, 2018  CBS reported quarterly earnings after the market closed Thursday. CEO Les Moonves was on hand to answer questions. He faces allegations of sexual misconduct, which was revealed in a story published by The New Yorker. July 30, 2018  The CBS Corporation's board of directors decided Monday to hire an outside law firm to conduct an independent investigation into allegations against the company's chairman and CEO. July 30, 2018  A dispute between the president and The New York Times publisher revives questions about the impact of Trump's anti-press rhetoric. He decried a supposed media conspiracy against his administration. July 28, 2018  CBS CEO Les Moonves has been accused of sexual misconduct in a new story published by The New Yorker. 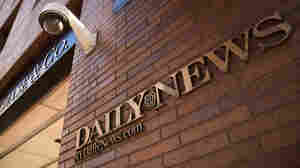 July 24, 2018  The newsroom staff of the New York Daily News is being cut in half, serving a big blow to local watchdog journalism in New York. 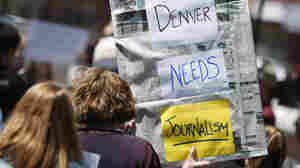 It is also reflective of local journalism being cut across America.